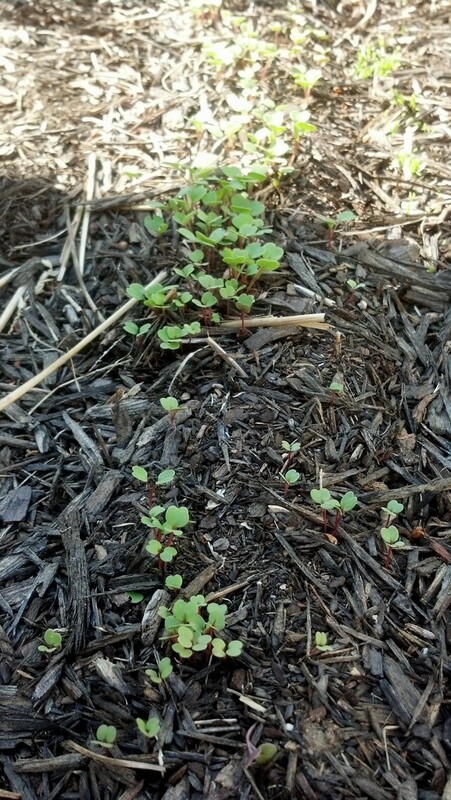 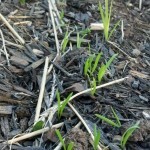 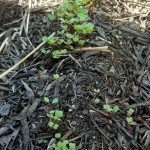 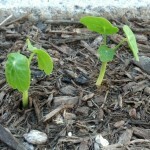 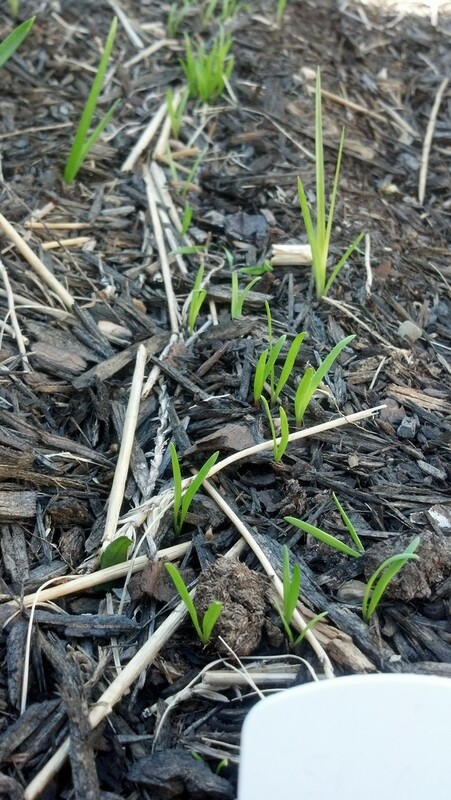 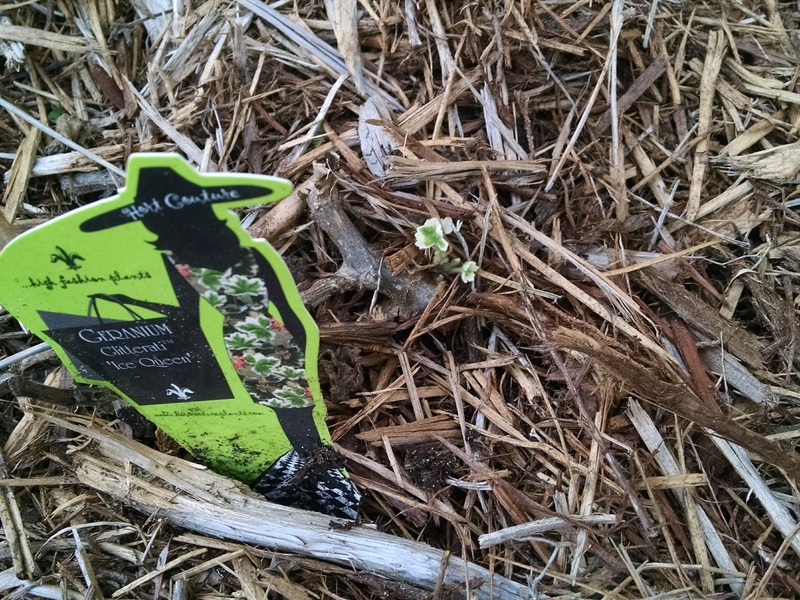 Today’s camera focuses on the new raised garden bed and the veggie seedlings making their appearance. 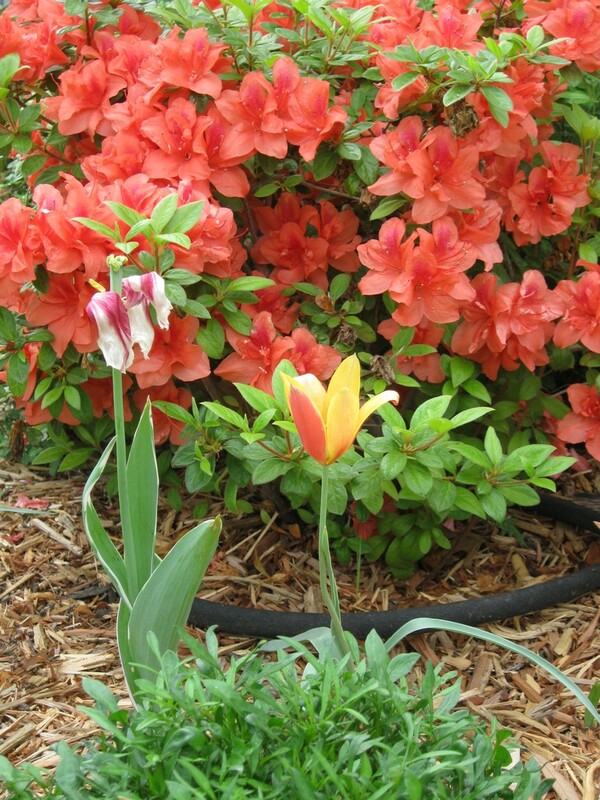 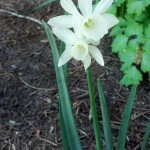 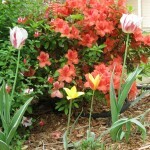 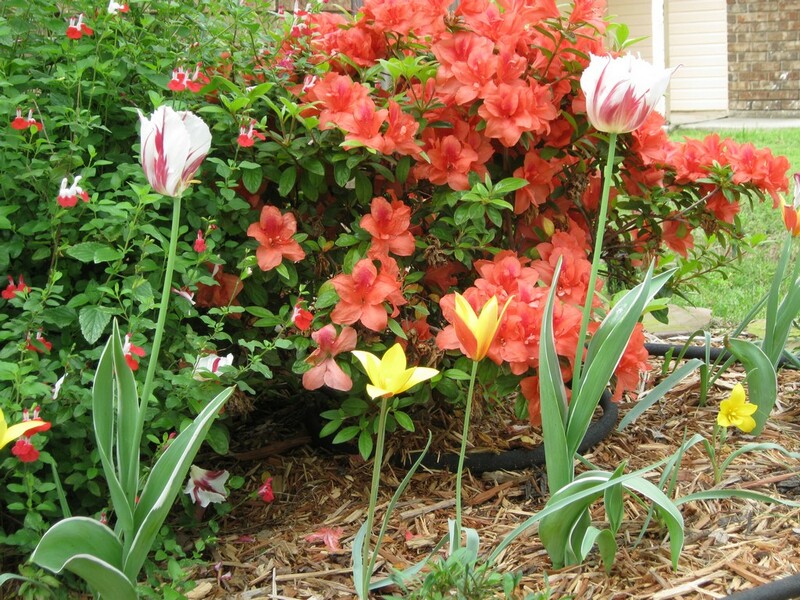 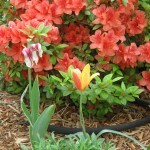 We also catch a glimpse of the first daffodils of the season and a hint of azalea bloom madness. 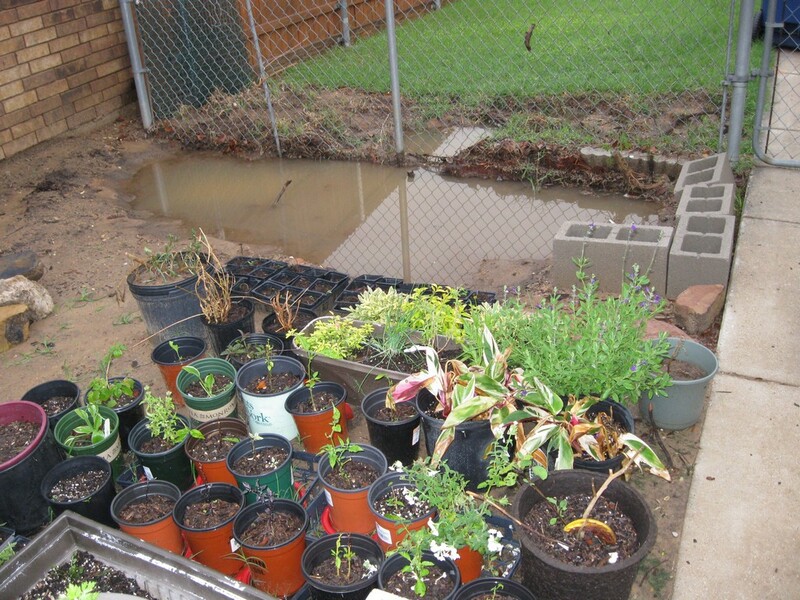 North Texas was battered by a series of tornadic storms and hail yesterday that disrupted work, power and traffic in many urban areas. 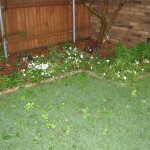 I came home to a debris-littered yard, but thankfully no visible or structural damage to the house. 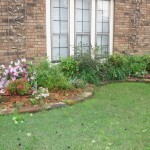 Lots of leaves and branches on the ground which I attribute to a fierce hailstorm. 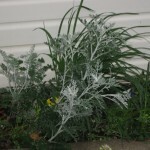 Plenty of videos circulating on the net this morning of twisters tearing through railyards and truck depots, tossing trailers into the air like toys. 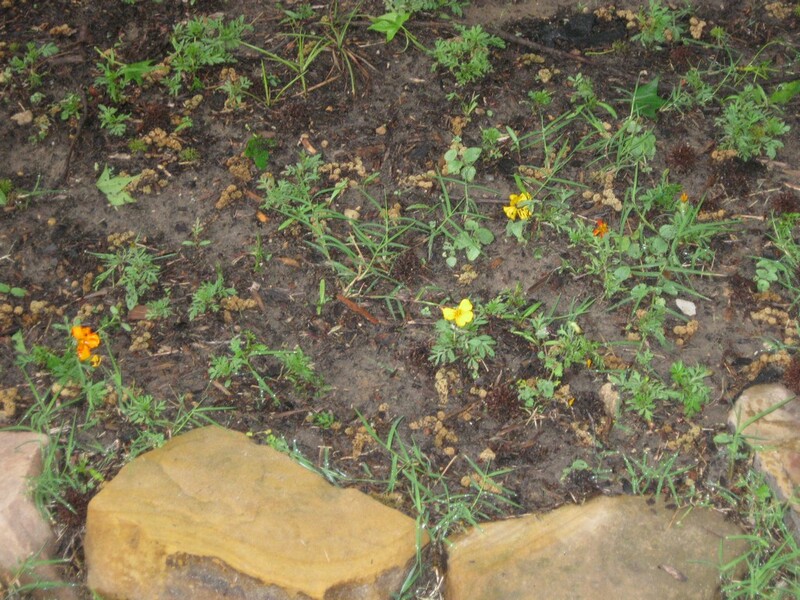 DFW airport canceled hundreds of flights while it assessed hail damage on all airplanes. 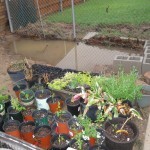 At one point the sky was as black as night during the fiercest weather conditions. 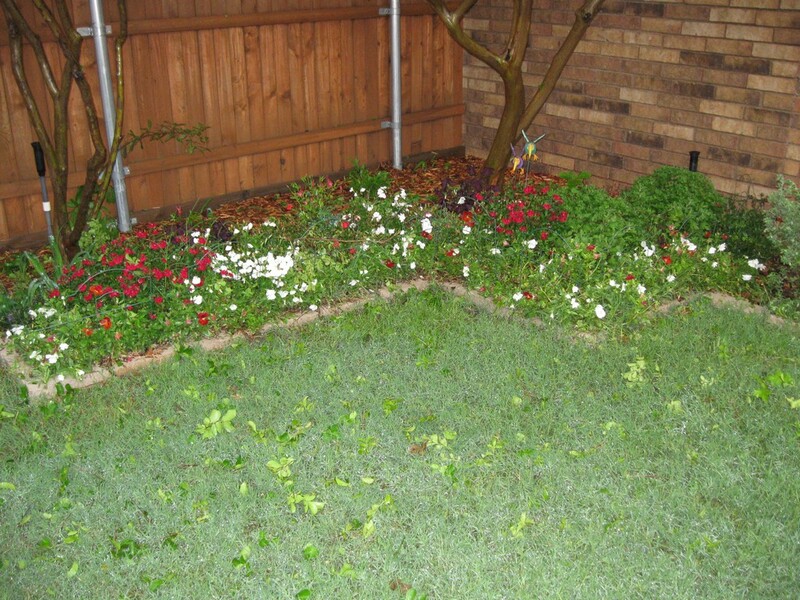 Hardest hit: Arlington, Forney, and Mansfield were known touch-down spots for tornadoes…hope my fellow garden bloggers are safe. 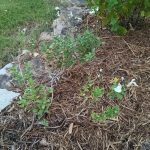 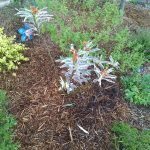 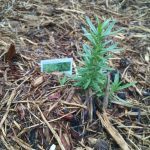 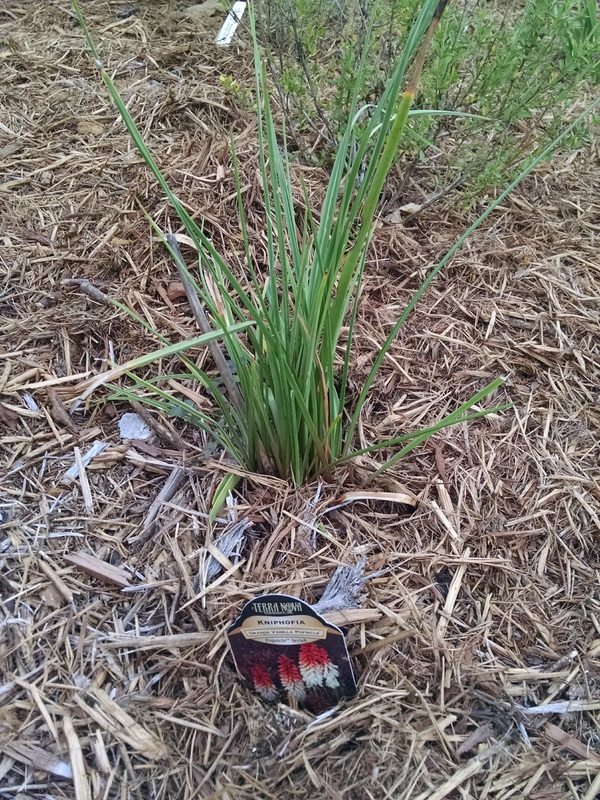 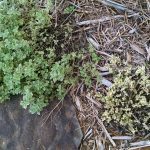 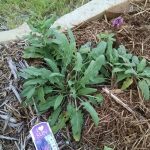 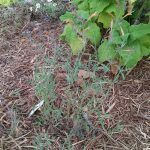 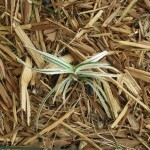 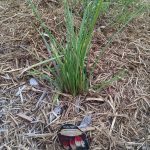 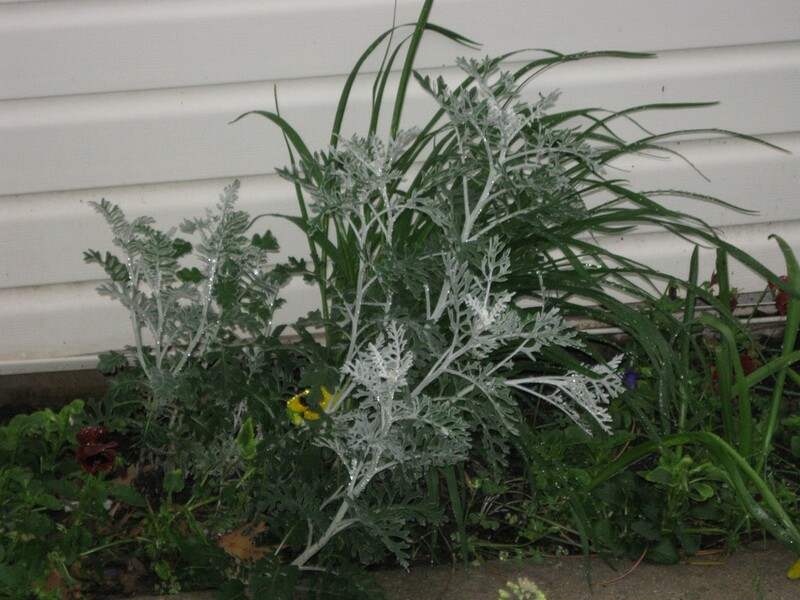 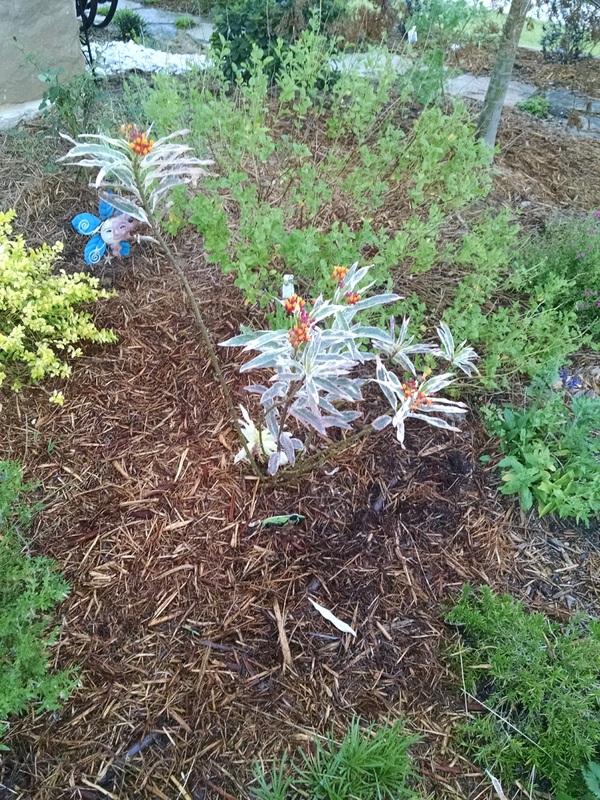 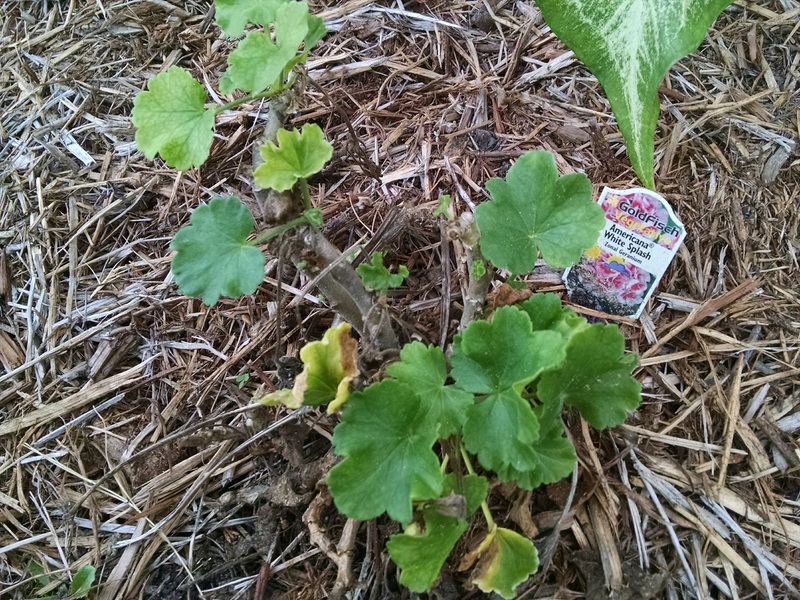 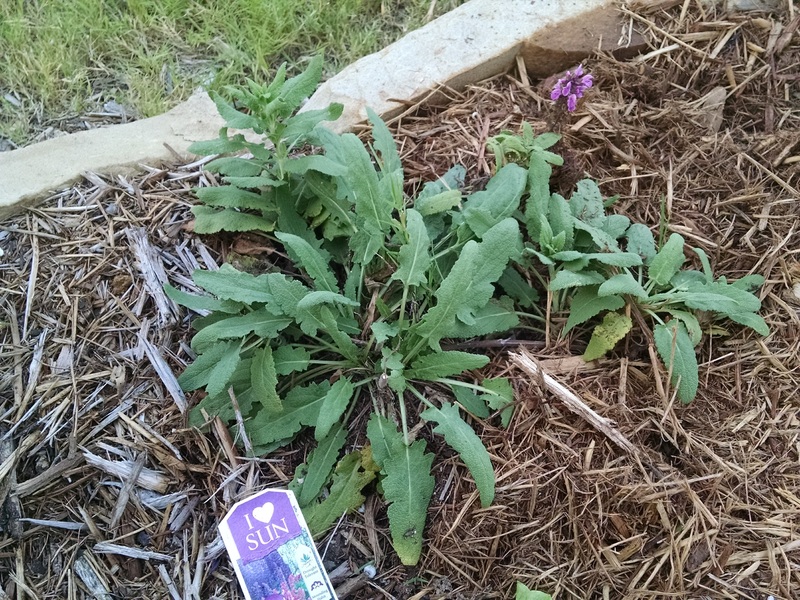 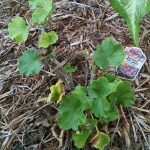 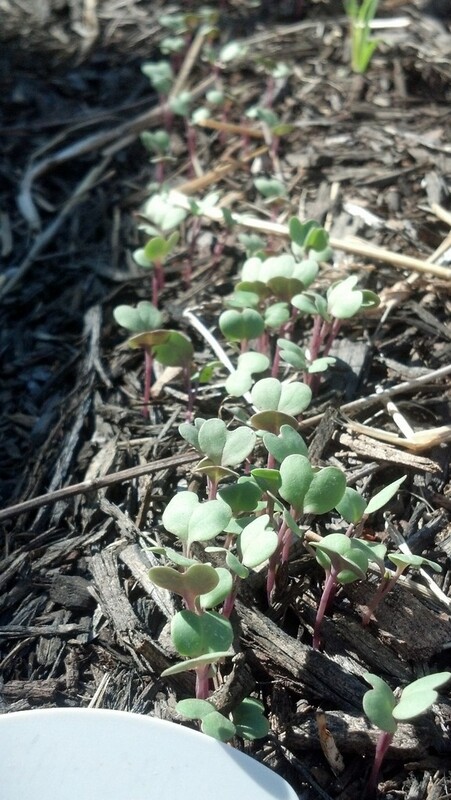 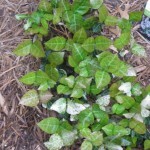 Pictures below of the beaten and flattened plants in my garden. 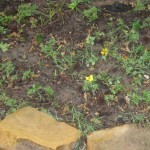 I barely got to see the new marigold blooms that appeared in the front yard tree ring before the petals got stripped by the fierce weather. 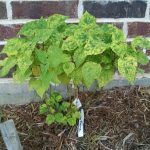 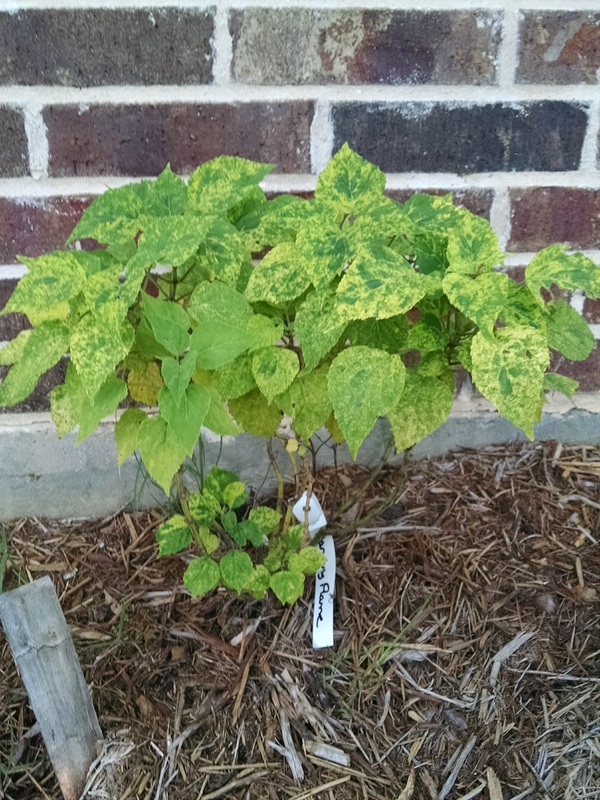 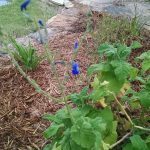 I planted 2 packets of Alaska Variegated Nasturtiums (tropaeolum maius) and Blue Boy Bachelor Buttons (centaurea cyanus) today. 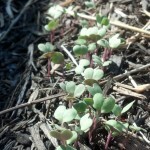 Crossing my fingers that we won’t get any more severe weather and wash away the seeds. 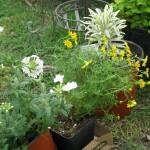 No joke, I bought 4 more plants at Grow It yesterday (Saturday). 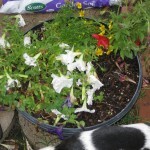 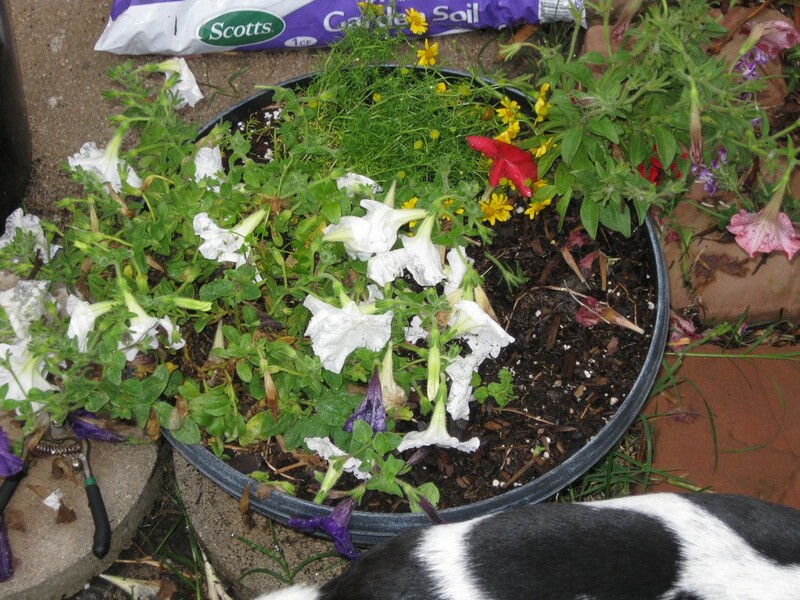 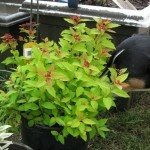 I actually was looking for lobelias to add to my petunia planter bowl, but didn’t find any at the nursery. 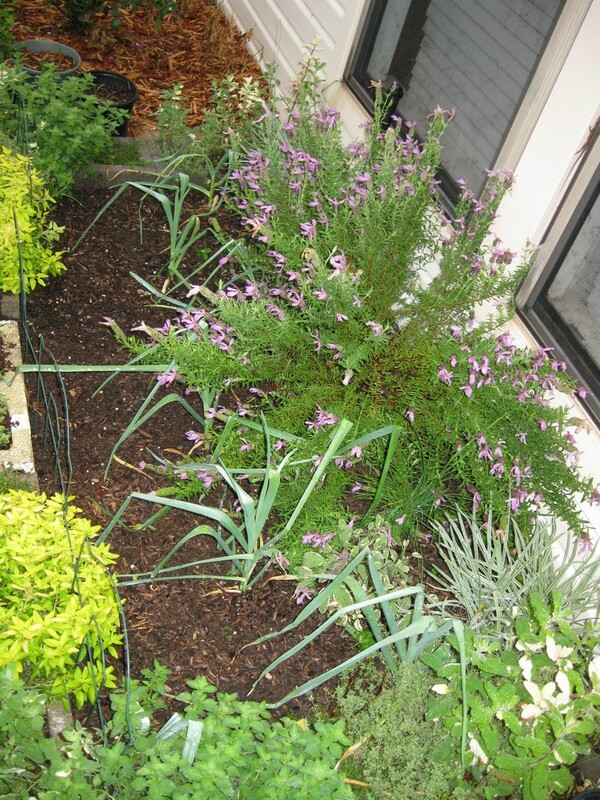 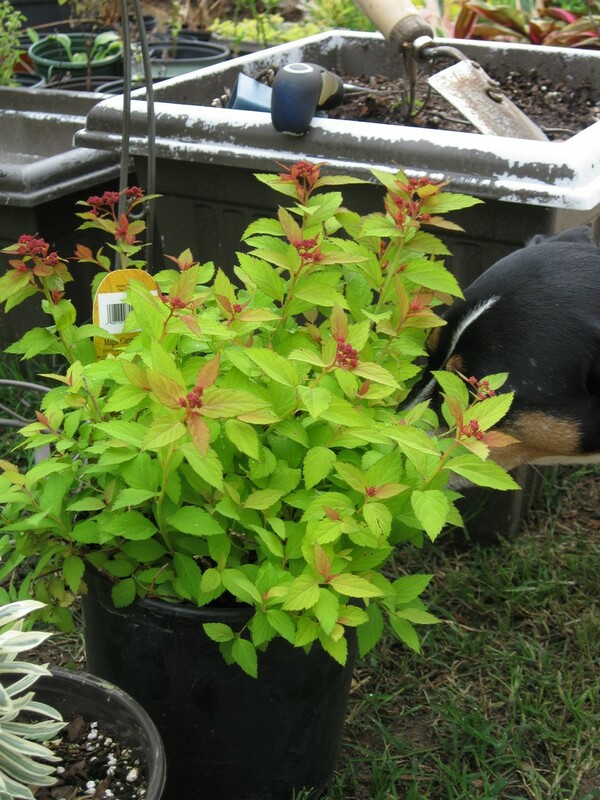 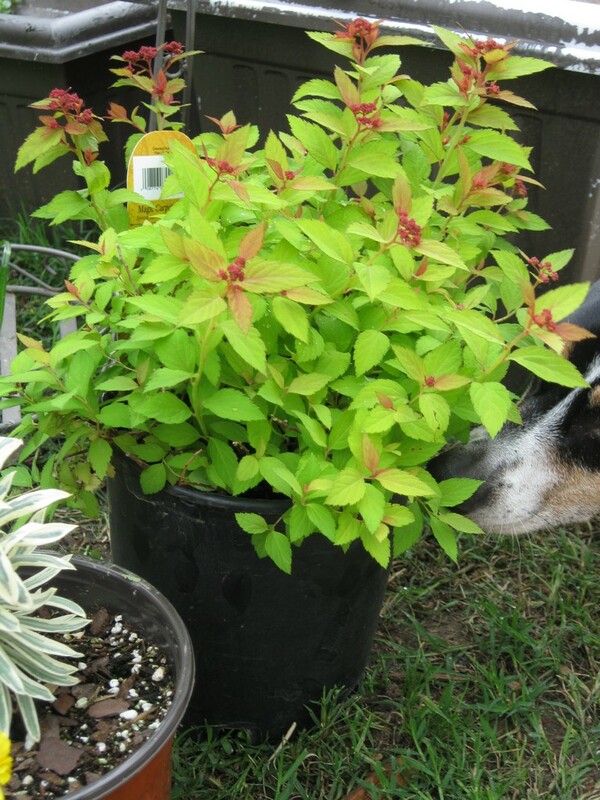 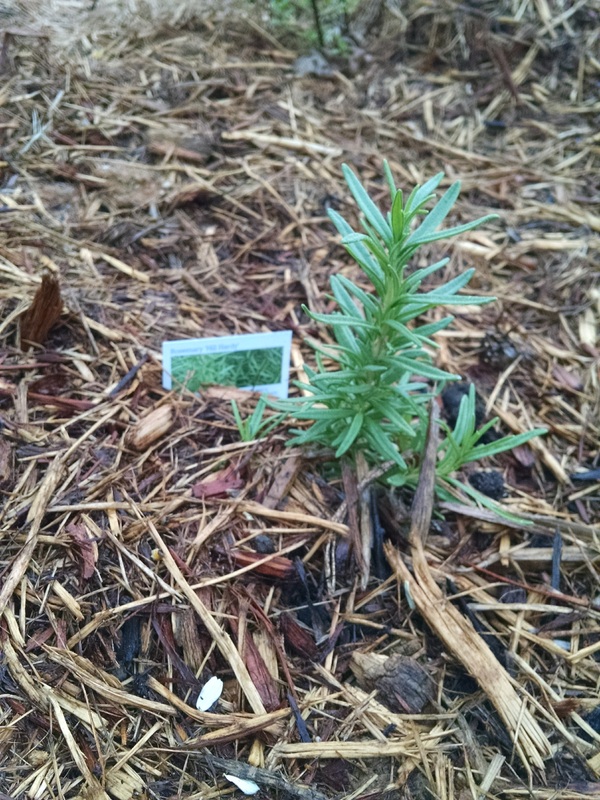 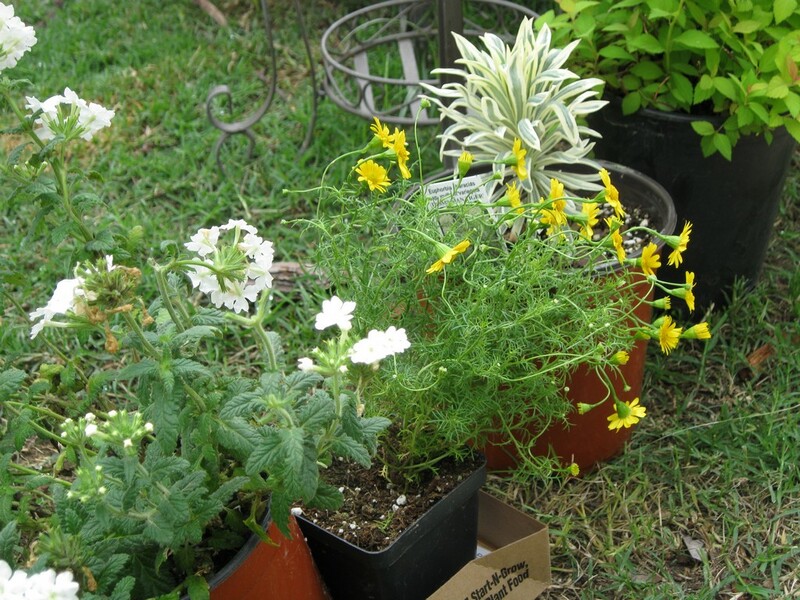 Instead I got: Magic Carpet spirea, white verbena, dahlberg daisies, and a Tasmanian Tiger euphorbia (spurge). 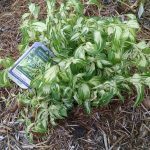 The euphorbia is especially striking with its blue-green and creamy-white variegation. 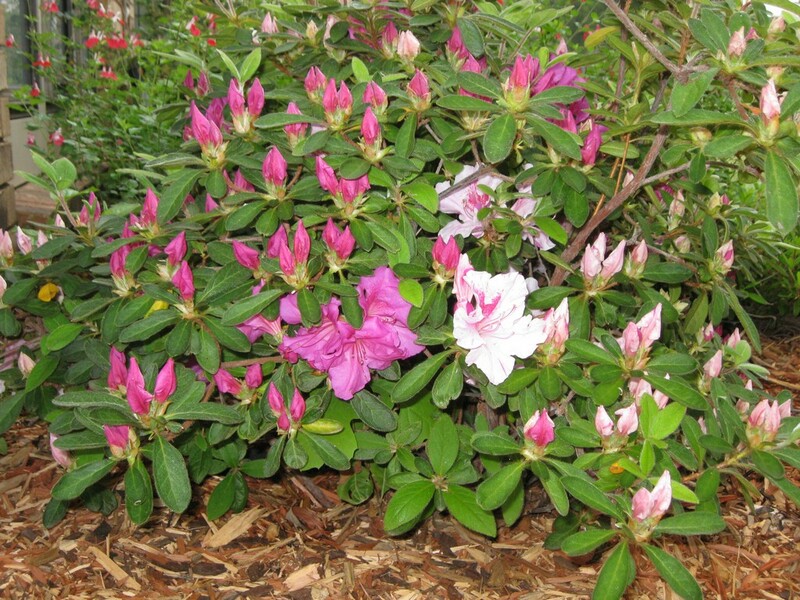 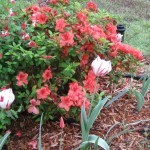 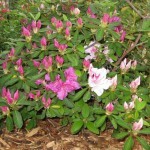 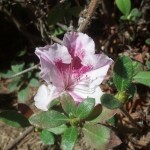 The azaleas in the front yard bed are busting out in blooms. 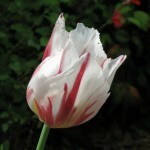 I’ve noticed that the Tulip clusianas are also in bloom. 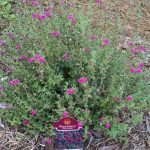 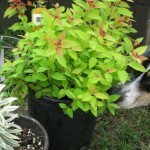 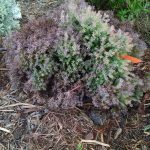 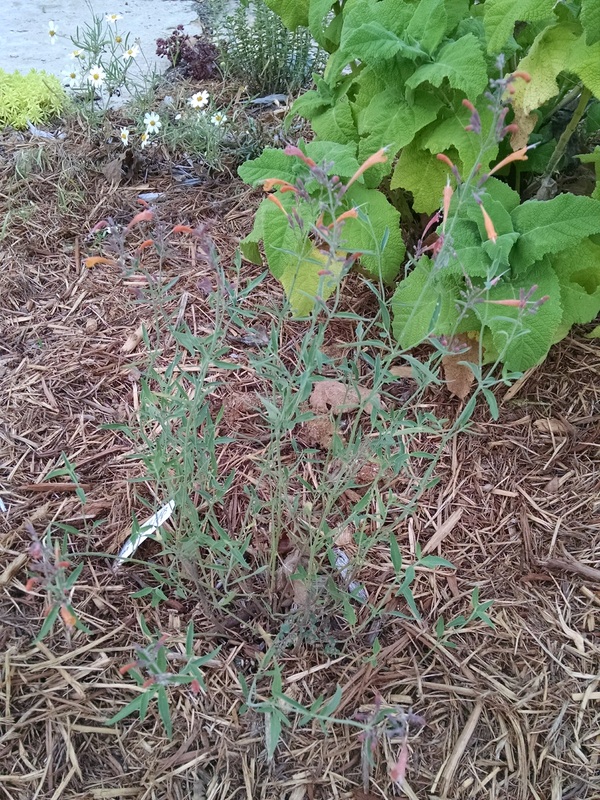 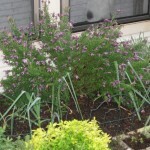 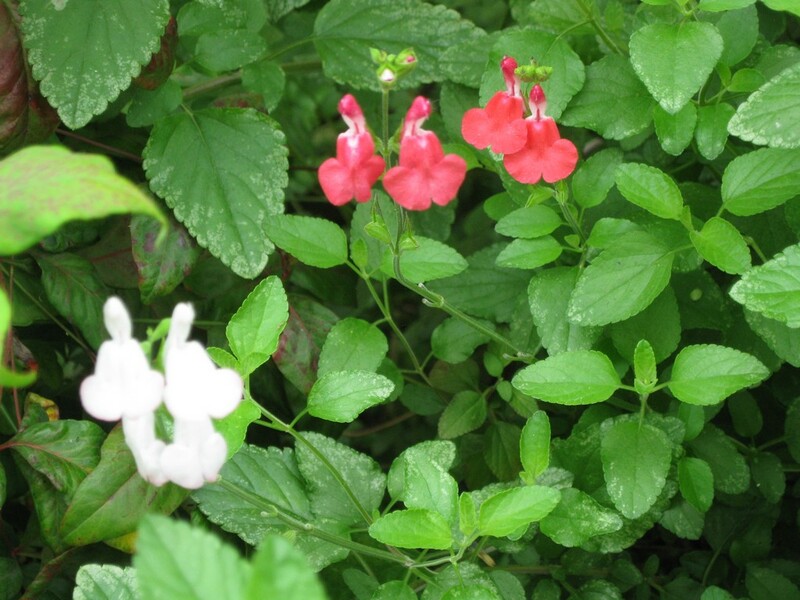 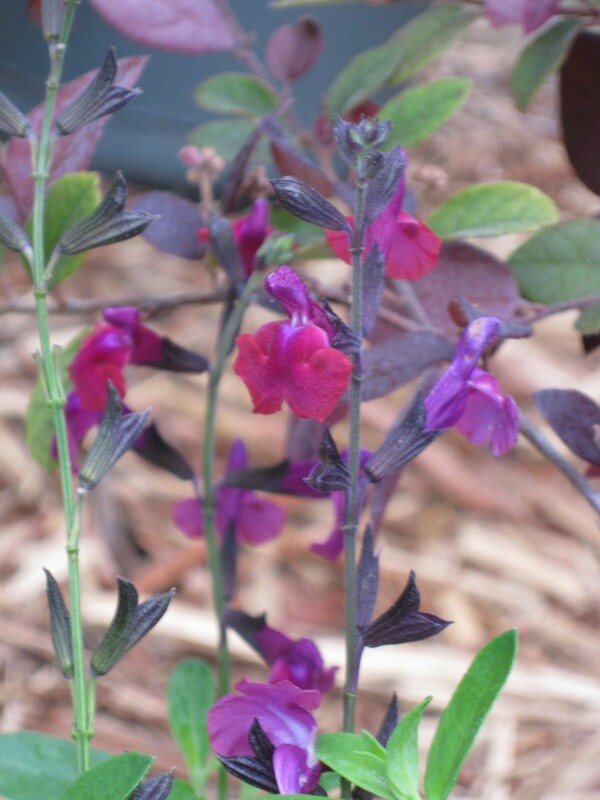 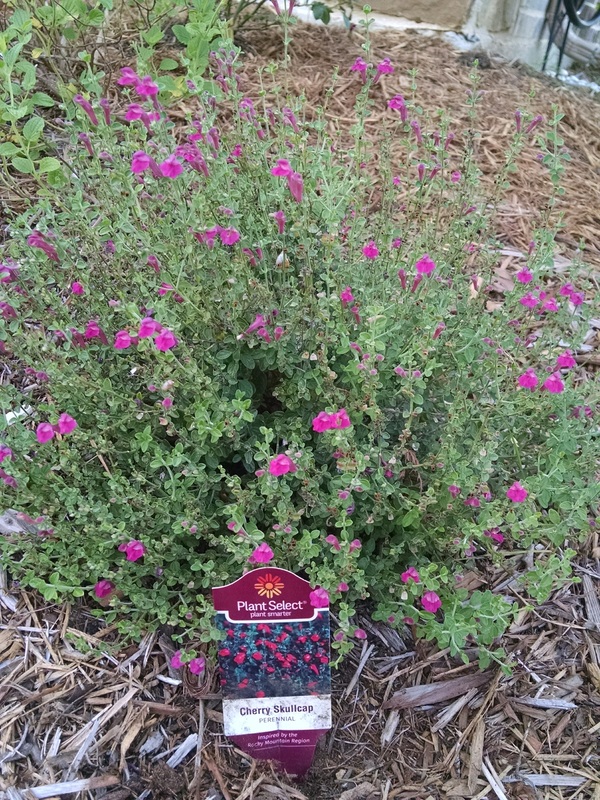 Checkout some of the weird color variations in verbena and Hot Lips salvia. 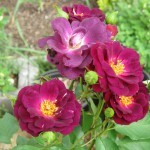 Meanwhile, Midnight Blue is bud- and bloom-crazy. 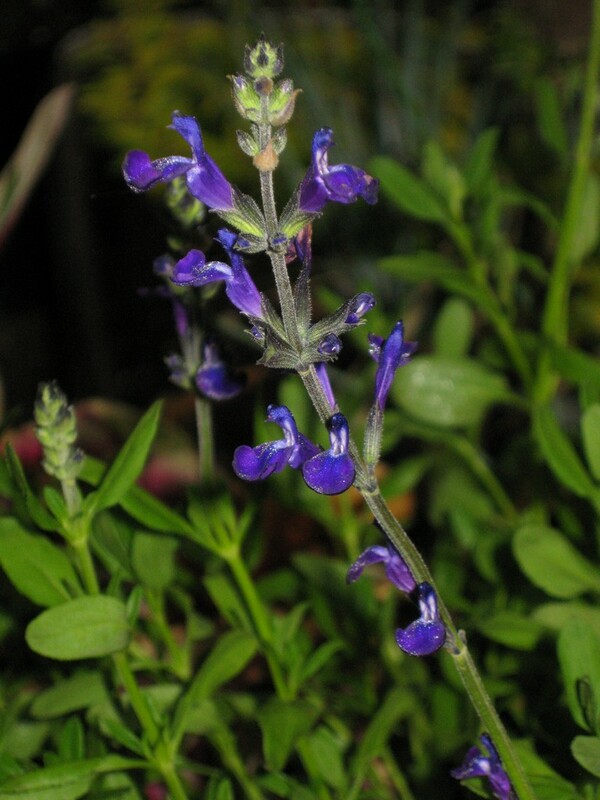 Salvia greggii Nuevo Leon, an electric blue/purple flowered Autumn sage. 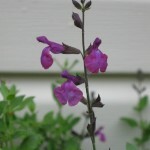 The flowers are significantly smaller than the standard salvia greggii bloom. 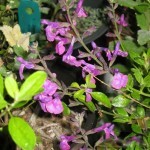 Shrubby habit similar to other greggiis. 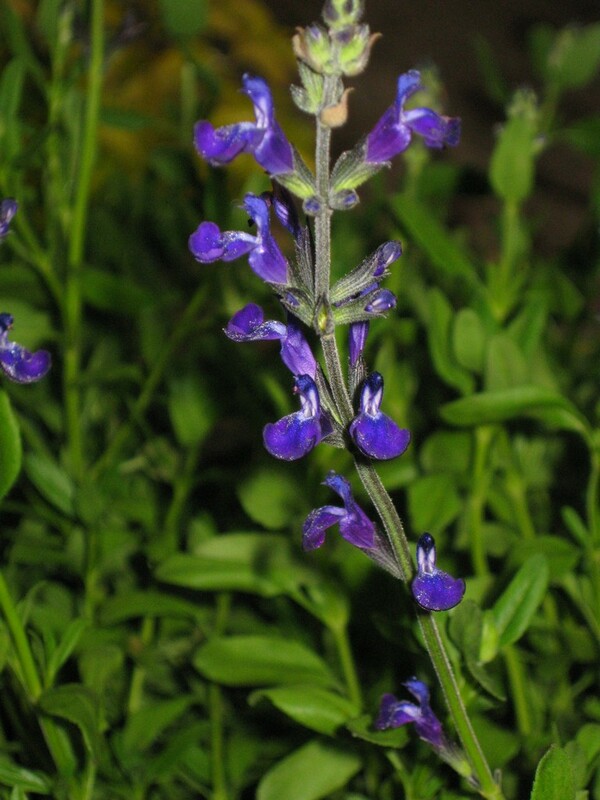 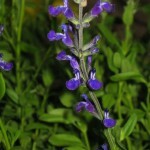 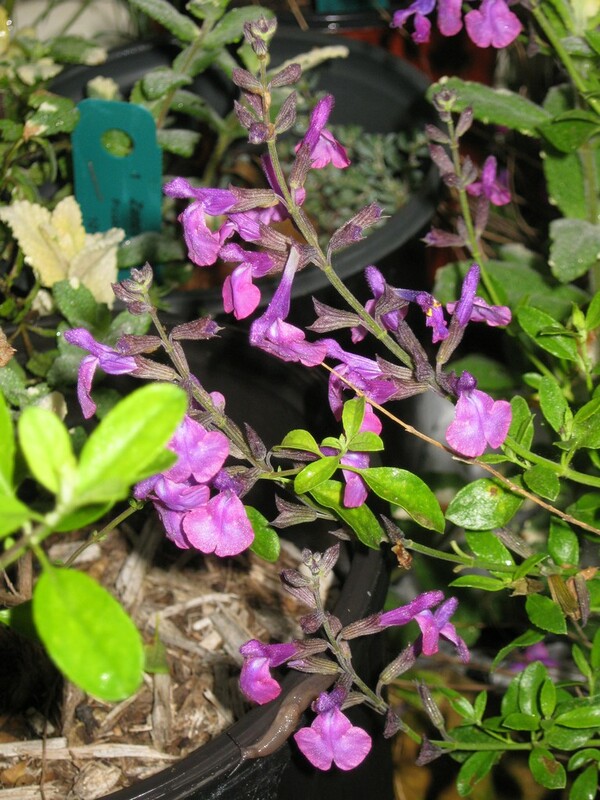 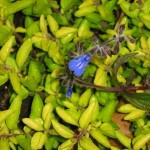 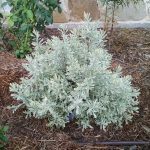 Bicolor salvia, or salvia sinaloensis, or sinaloa sage, more of a cobalt blue. 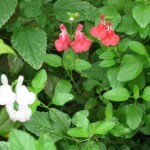 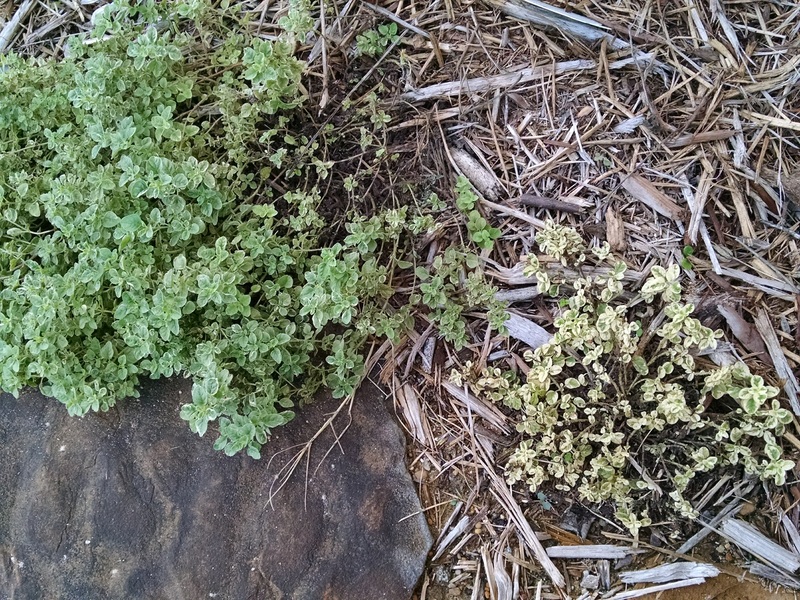 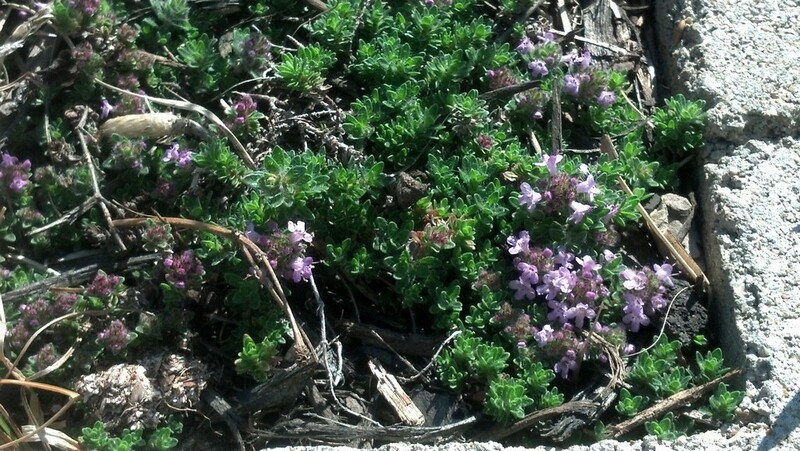 Sparse flowering groundcover-like salvia. 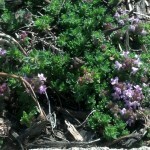 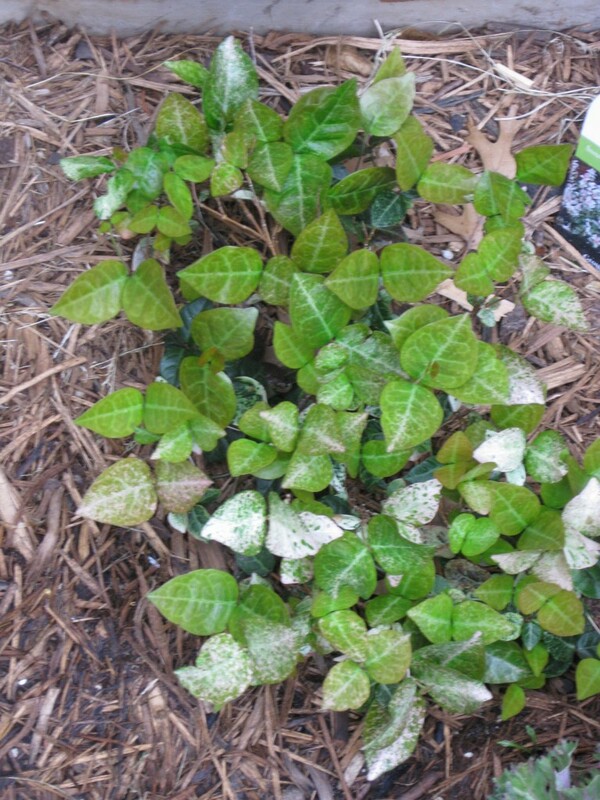 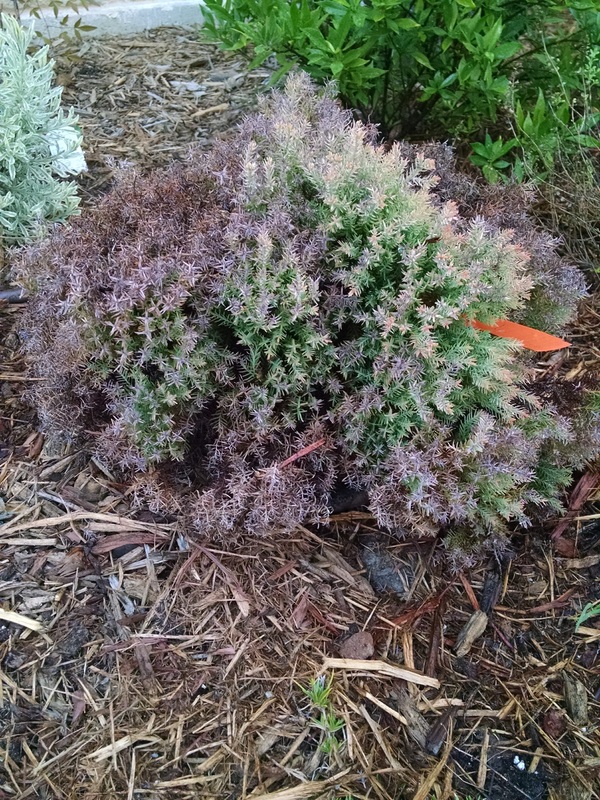 Foliage becomes maroon- or purple-edged during cool temps. 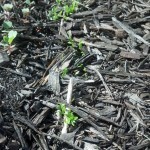 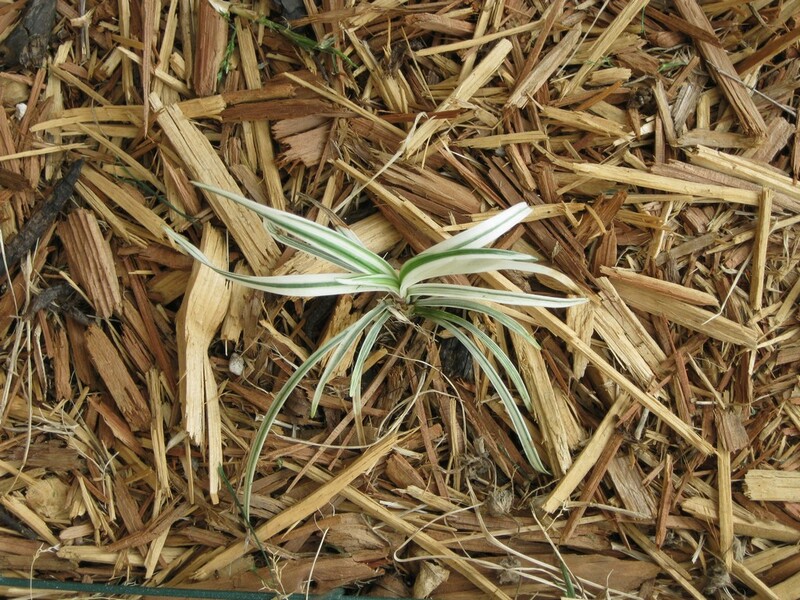 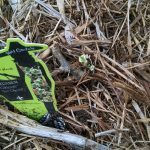 Will die back into the ground if it the temps are too chilly, but bursts back to life vigorously as soon as the temps turn mild. 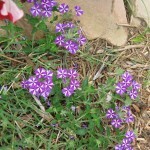 Flower size is also small, and notice the white ticking on the lip. 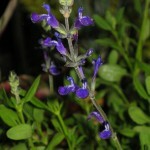 Violet salvia greggii. 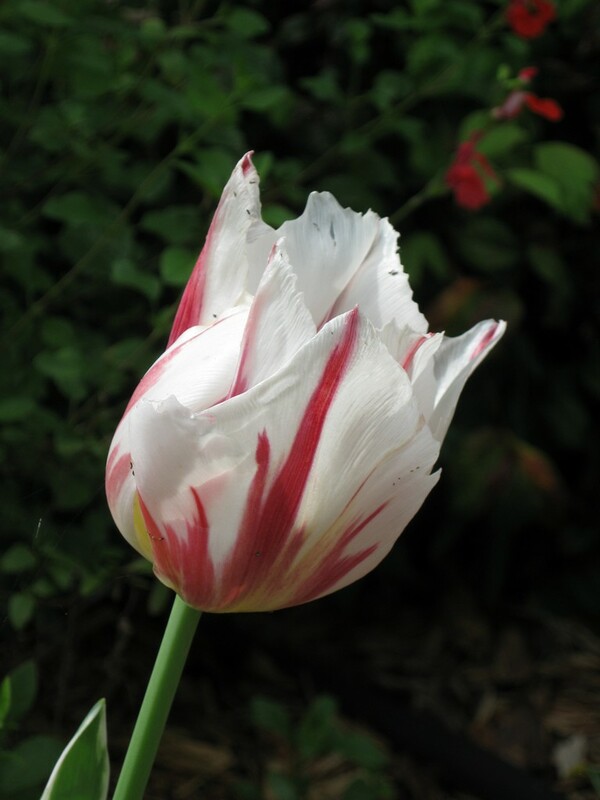 Early morning light gives this bloom a reddish-tinge. 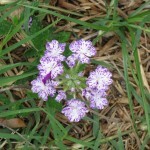 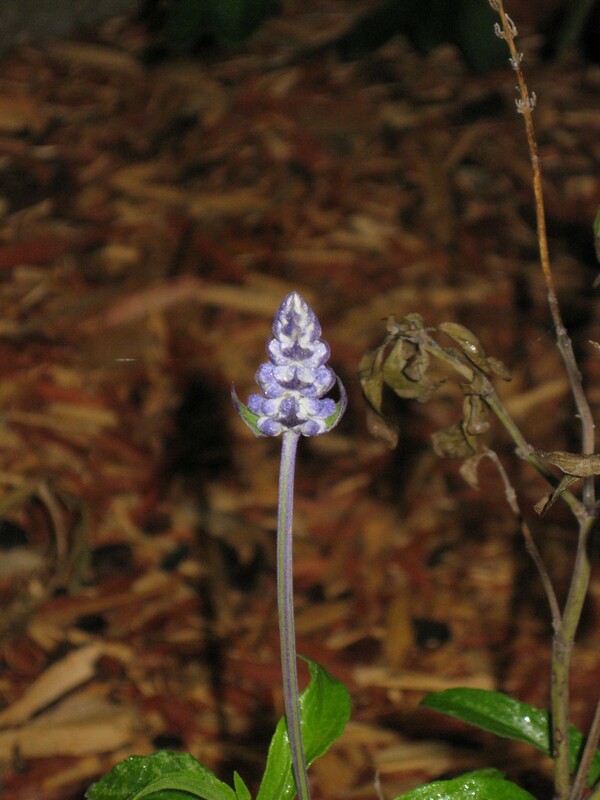 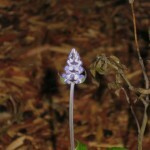 In full sunlight, this is a distinctly violet flower. 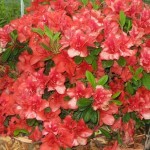 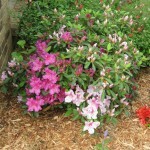 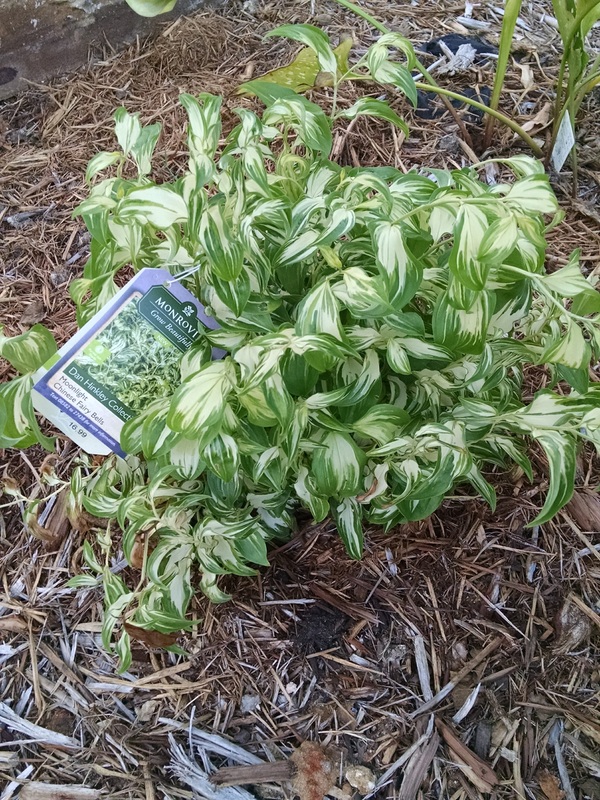 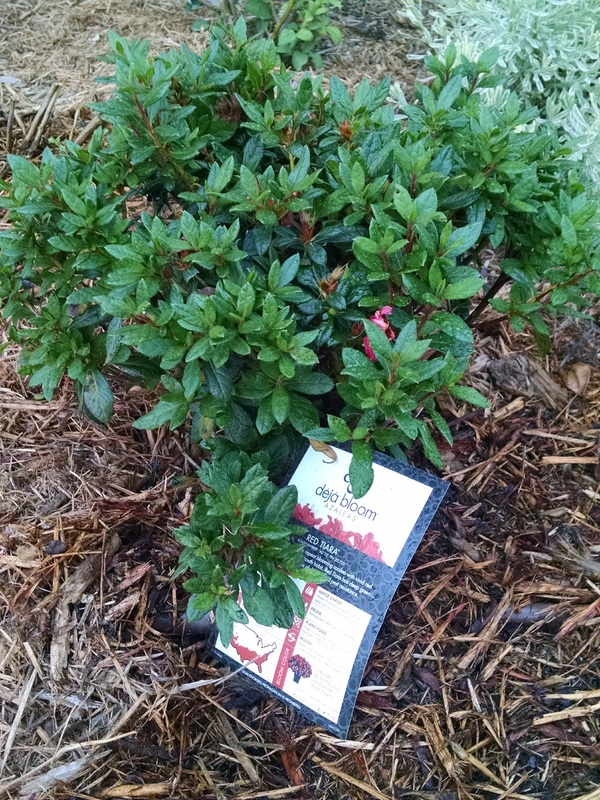 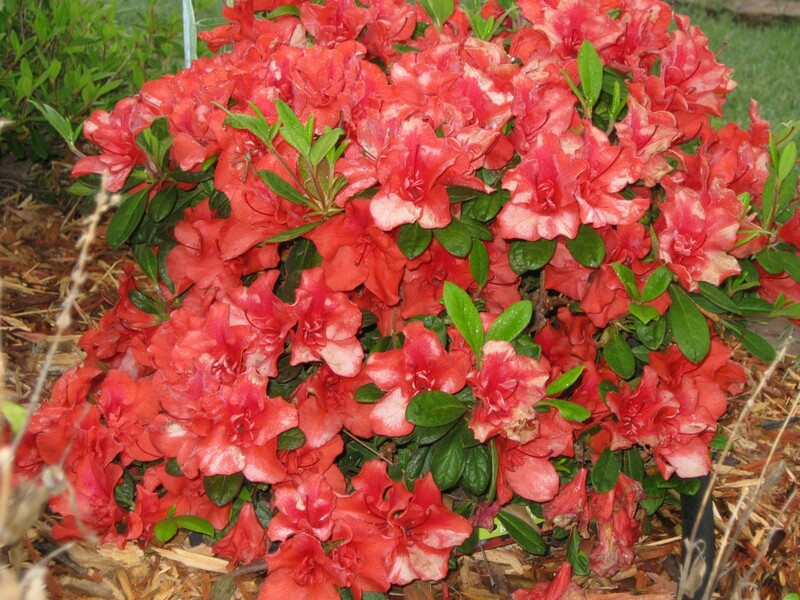 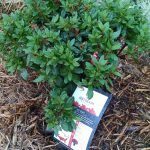 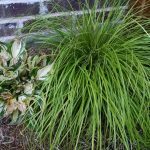 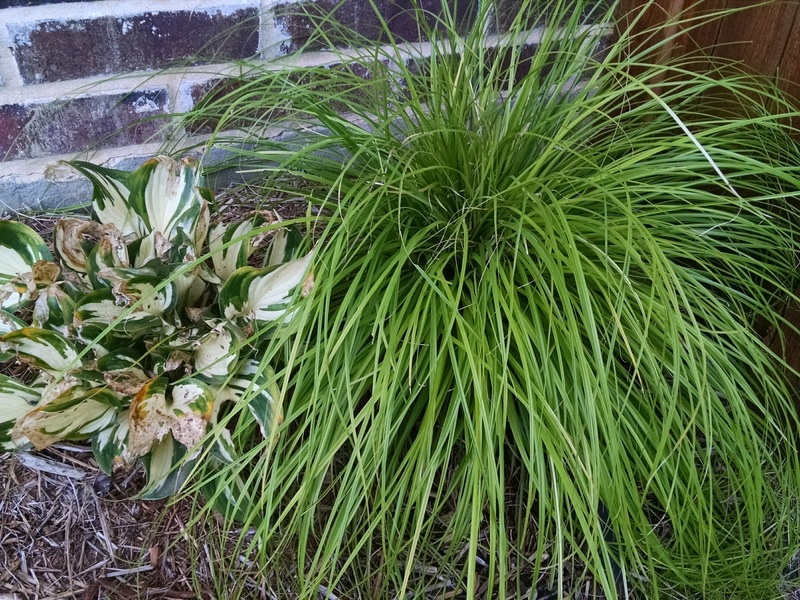 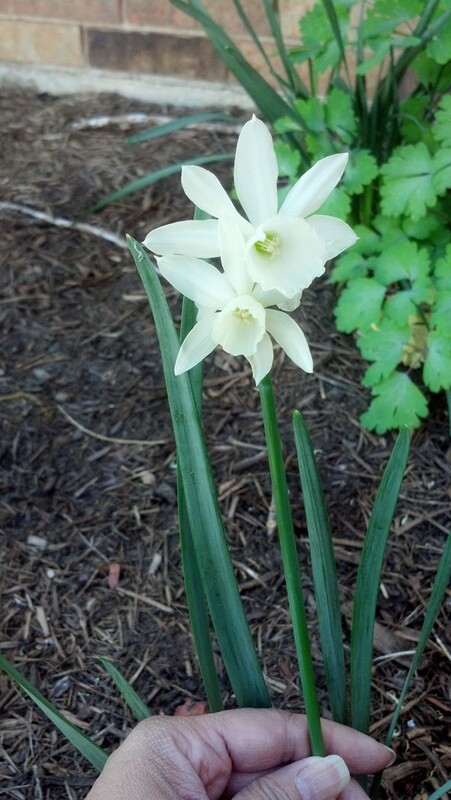 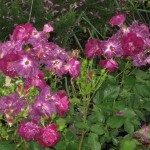 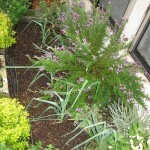 Vigorous grower and bloomer that can grow 2-3 ft wide and tall if not sheared back. 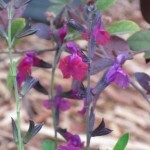 Purple pastel salvia greggii. 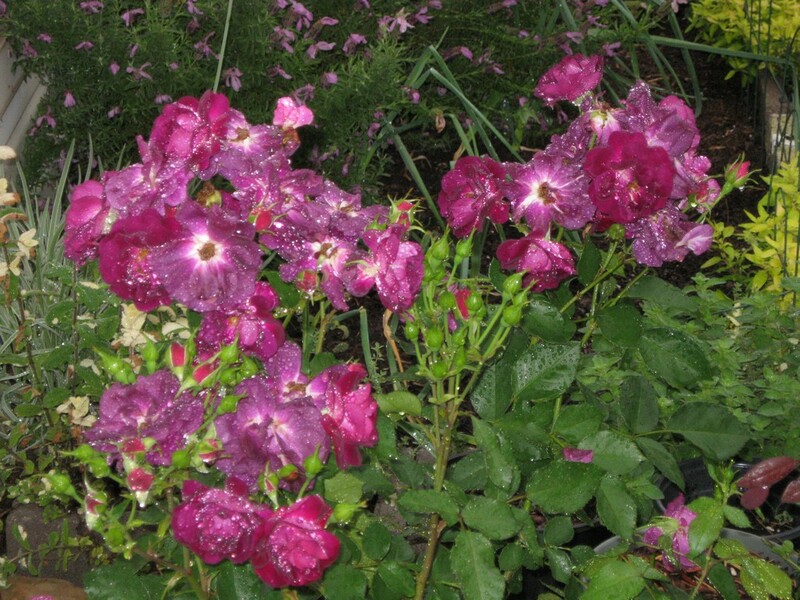 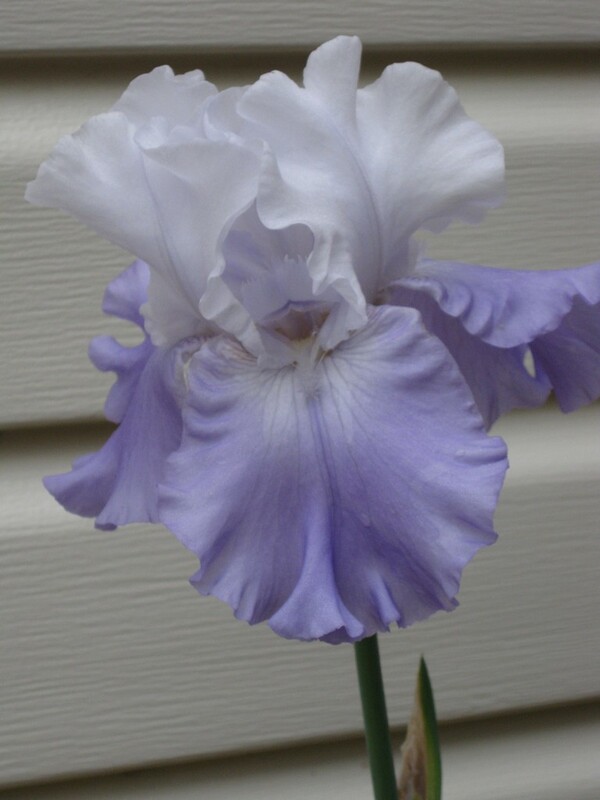 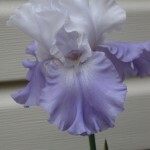 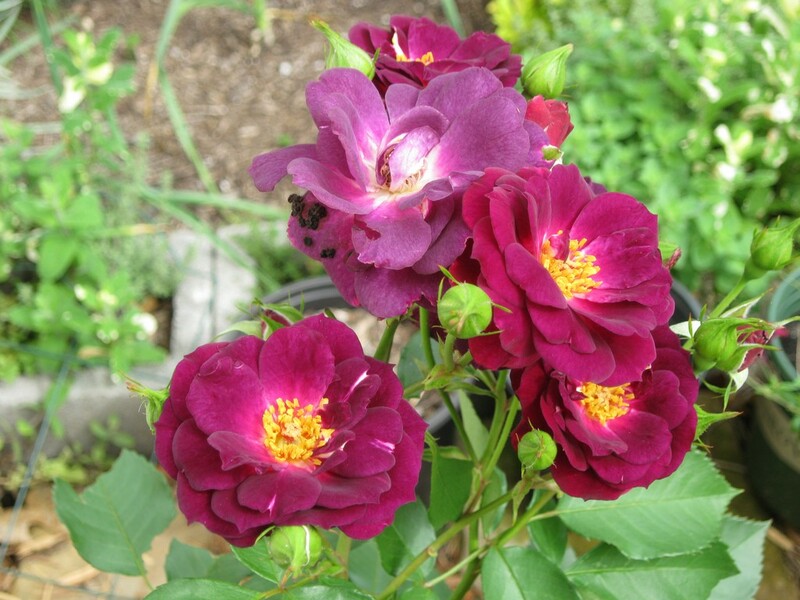 In morning light, the blooms have a redder cast, but in full sunlight the blooms are a pastel purple as described. 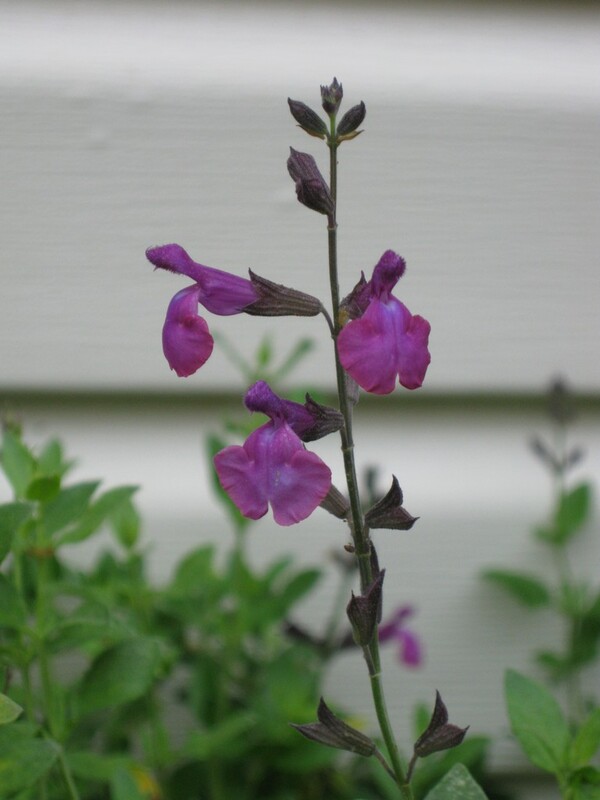 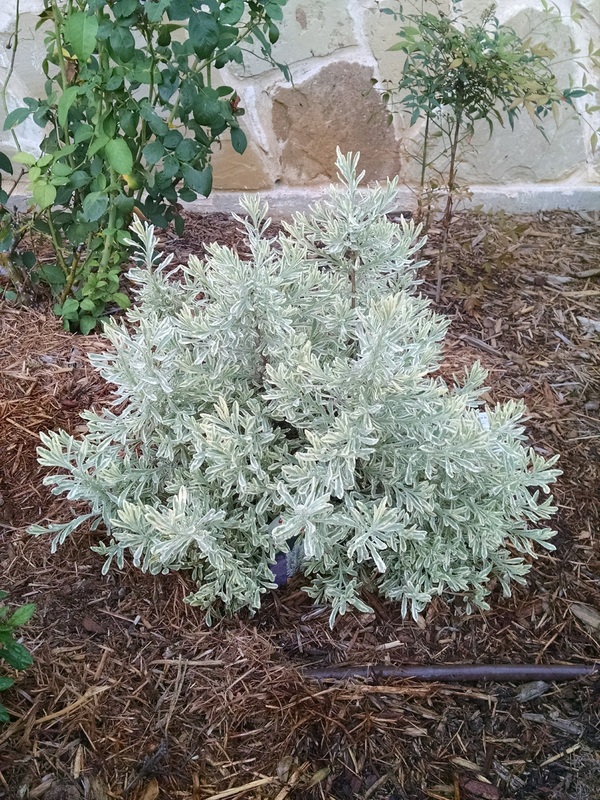 Paler than the violet, it seems to have a more relaxed habit than violet salvia greggii. 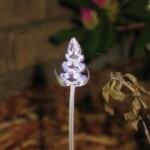 It does receive a little less sun as well, so position might be affecting it. 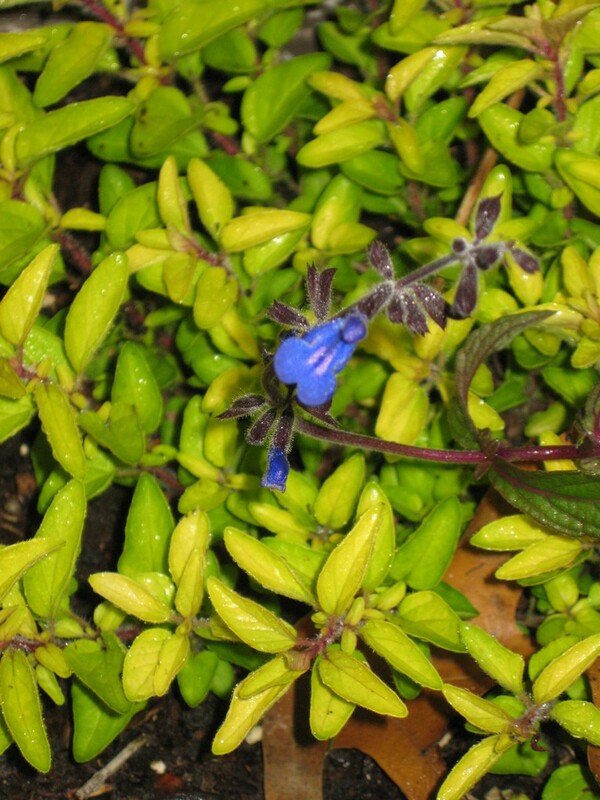 Victoria Blue salvia farinacea in bud. 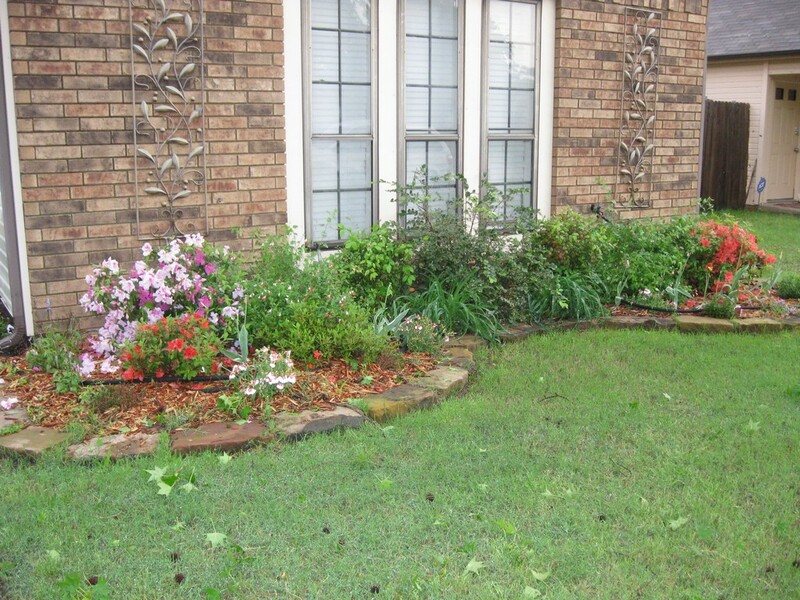 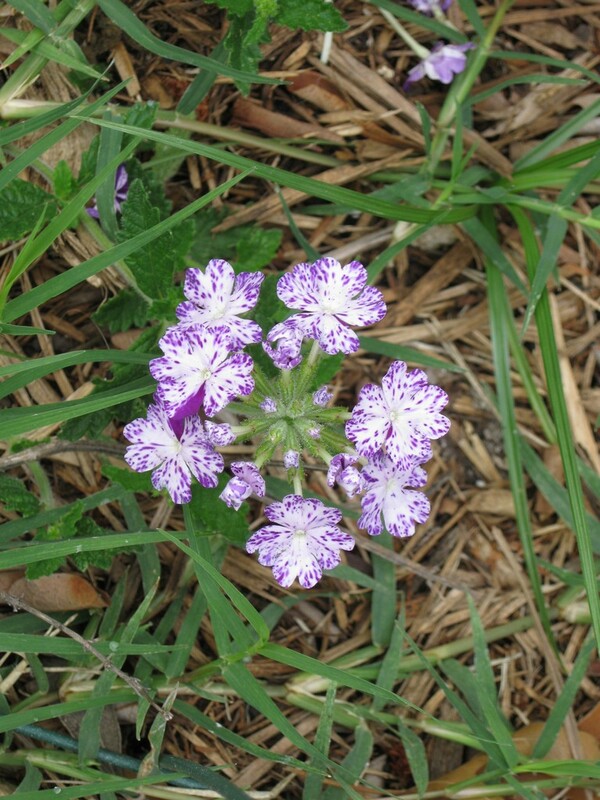 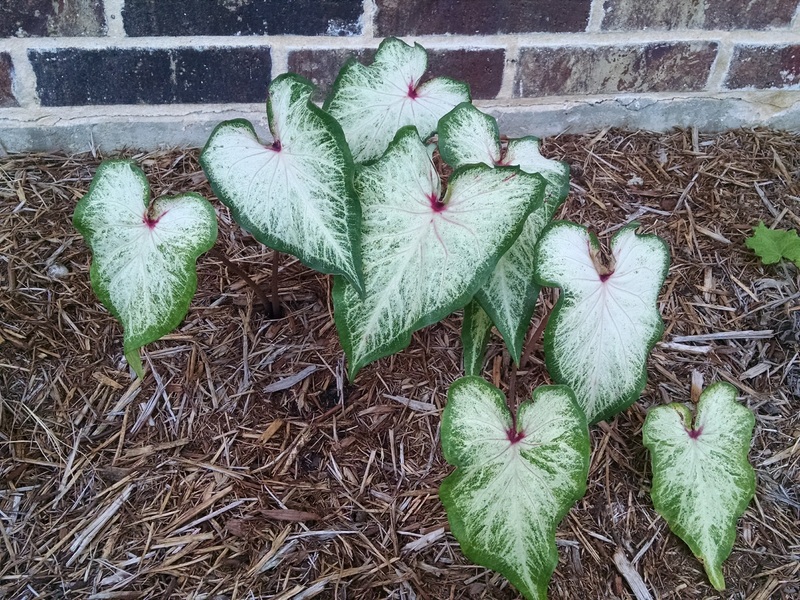 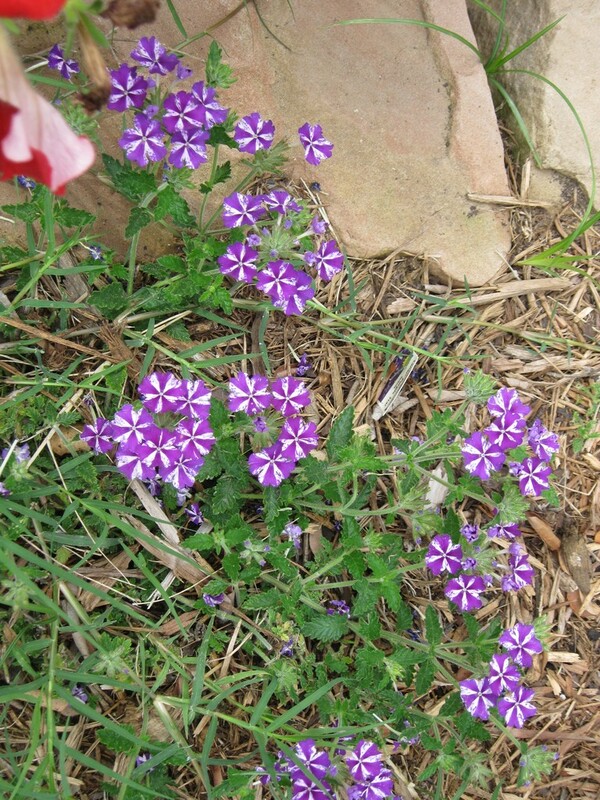 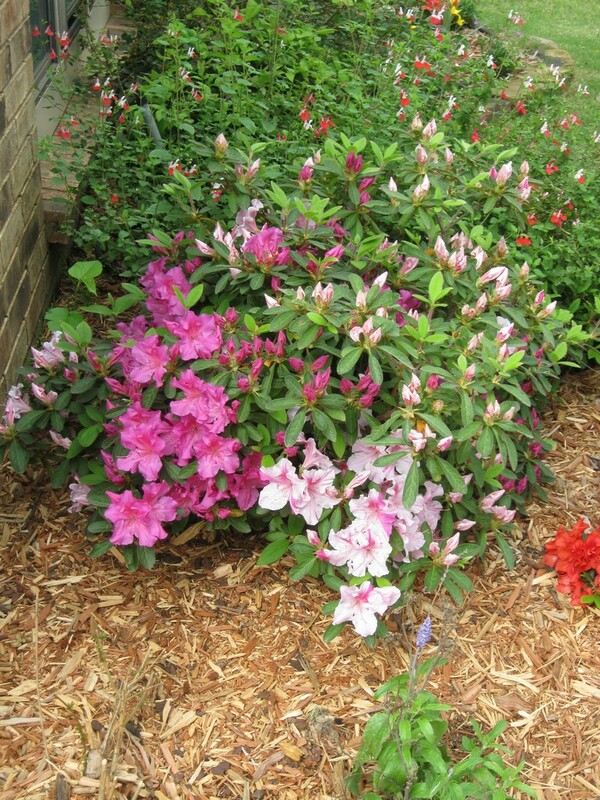 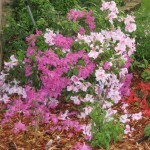 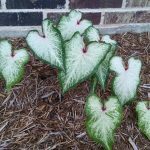 These are classified as annuals, but here in Texas, these Victorias die back into the ground and spring back to life as soon as the weather turns mild. 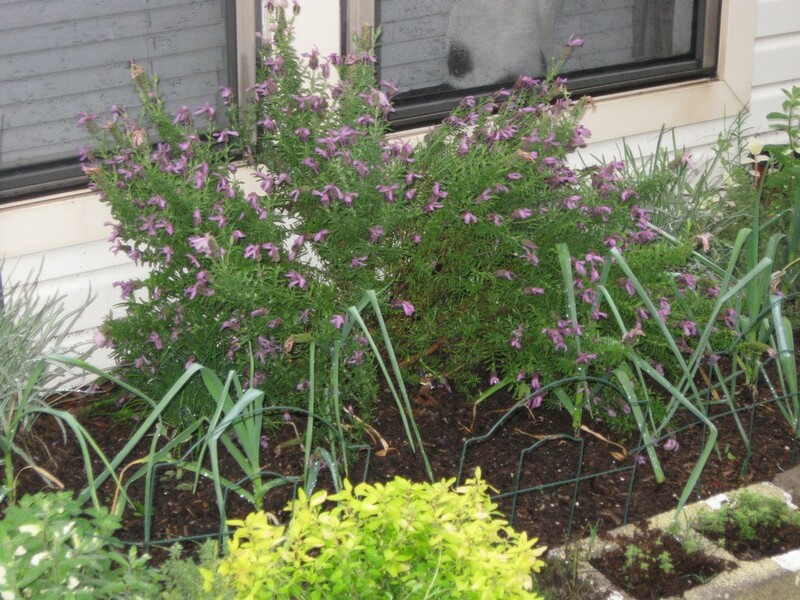 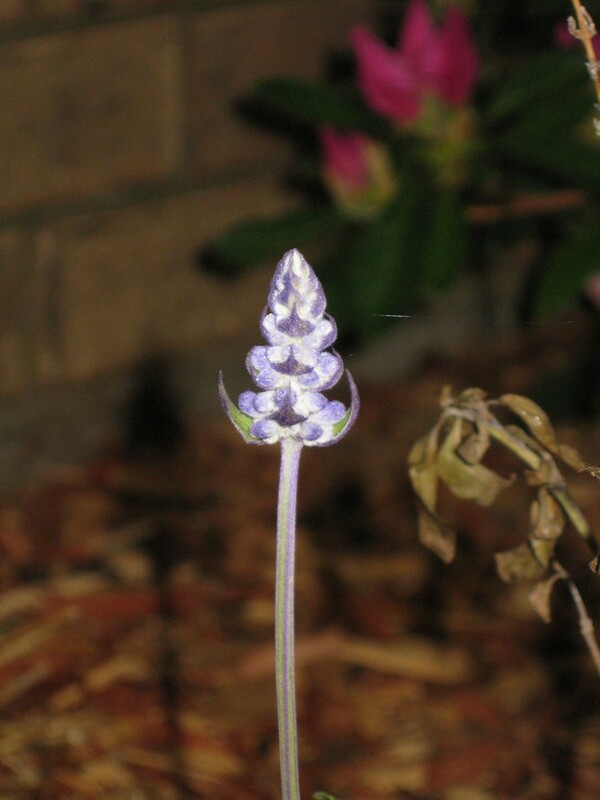 Here, in morning light, the buds look dusky lavender, but in full sunlight, they appear as a brighter bluish-lavender shade. 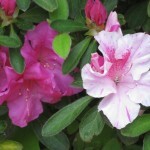 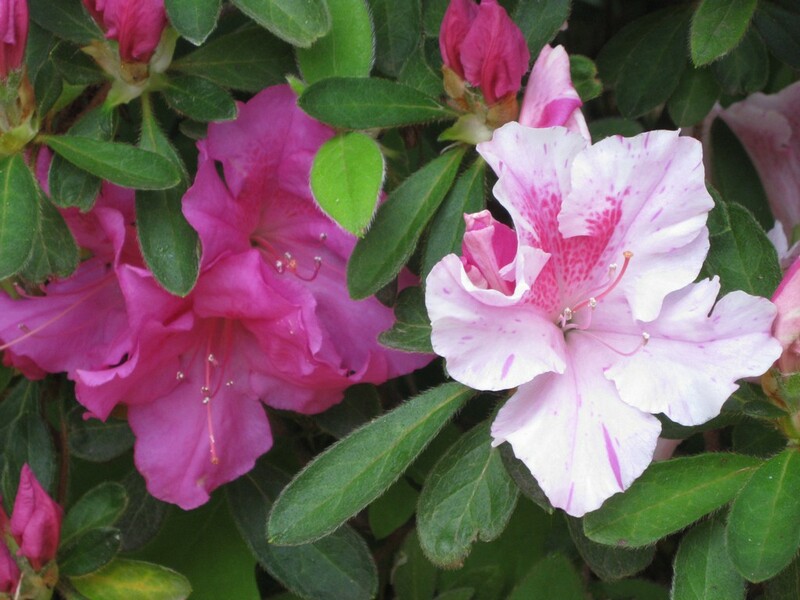 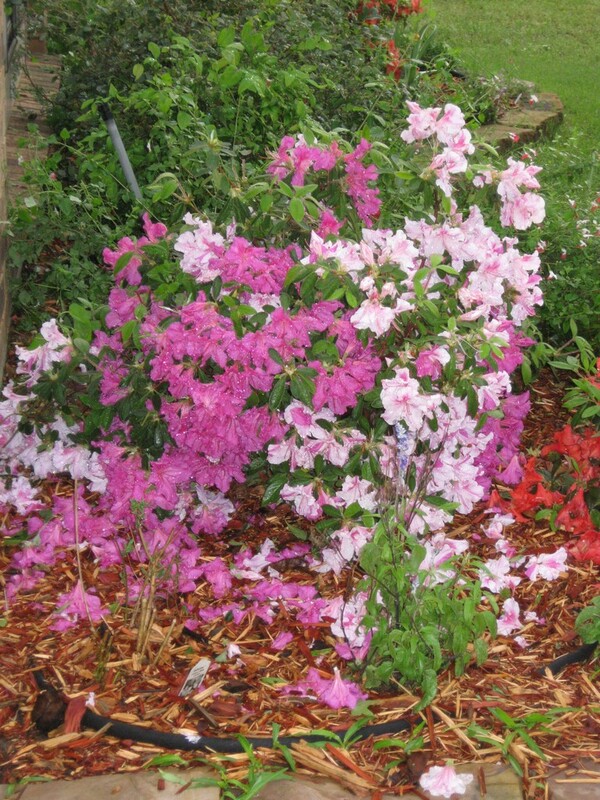 Azaleas are bursting with color this week! 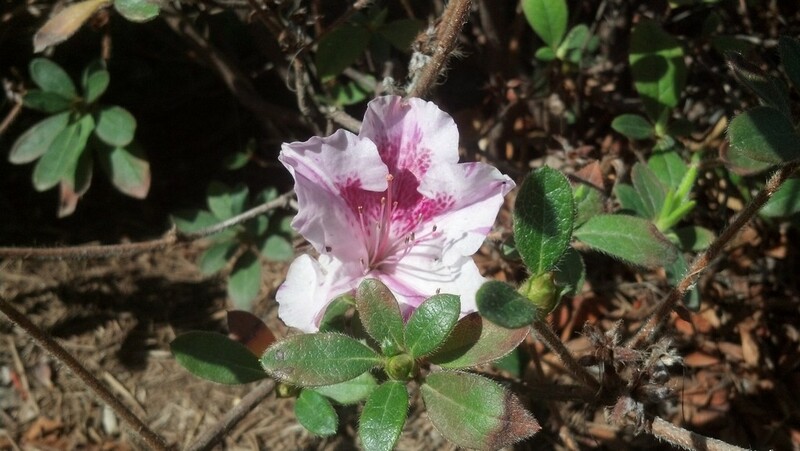 The Autumn Twist started quietly with blooms obscured by foliage, but there are plenty of buds on it today. 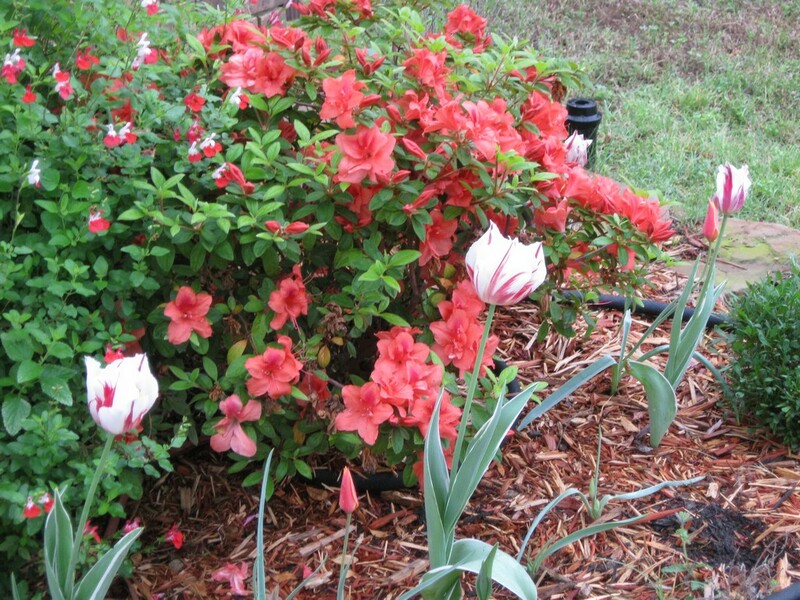 Autumn Embers #1 and Autumn Monarch are lovely. 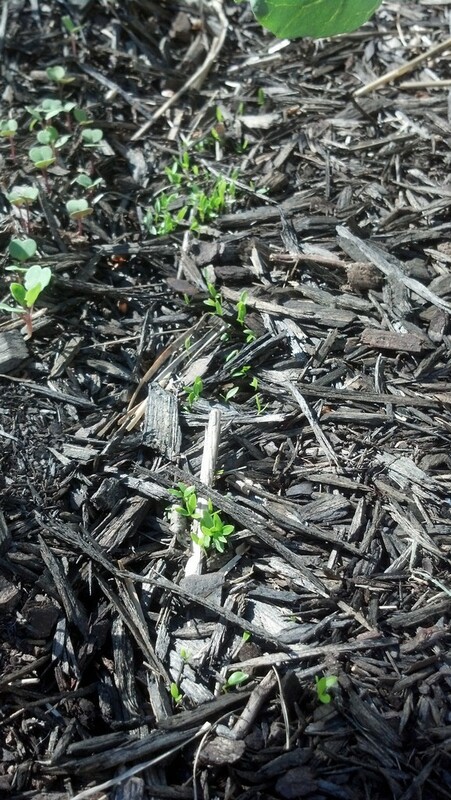 Autumn Embers #2 (long-established) hasn’t caught up yet. 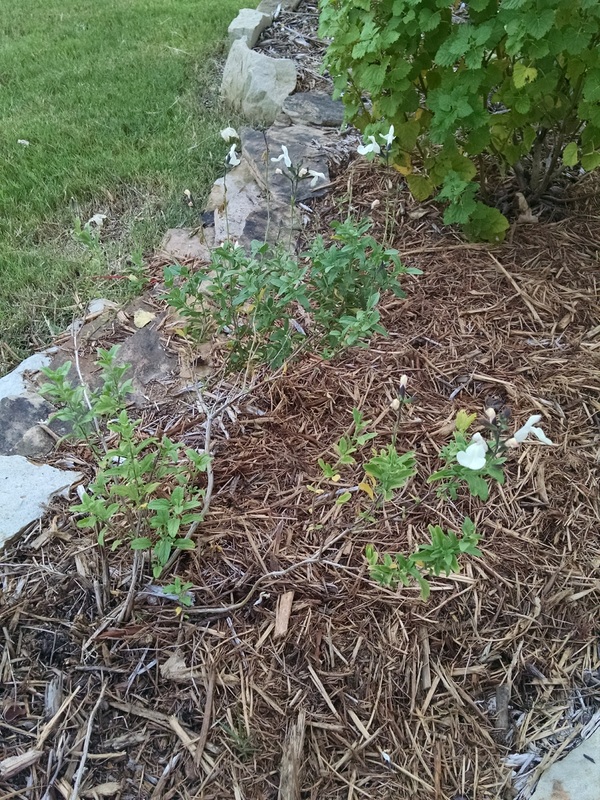 The snow-in-summer asiatic jasmine has doubled in height. 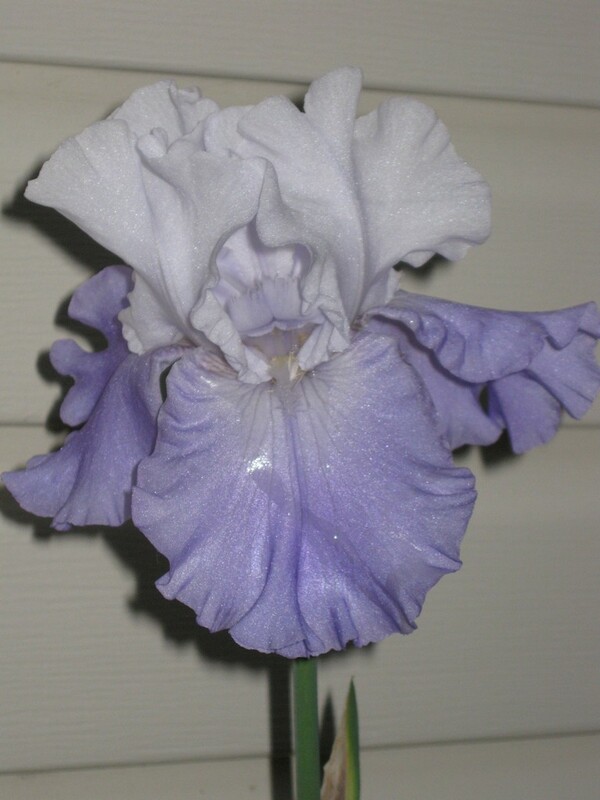 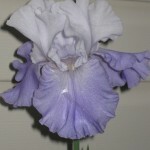 Meanwhile, Mariposa Skies iris has issued its fourth bloom. 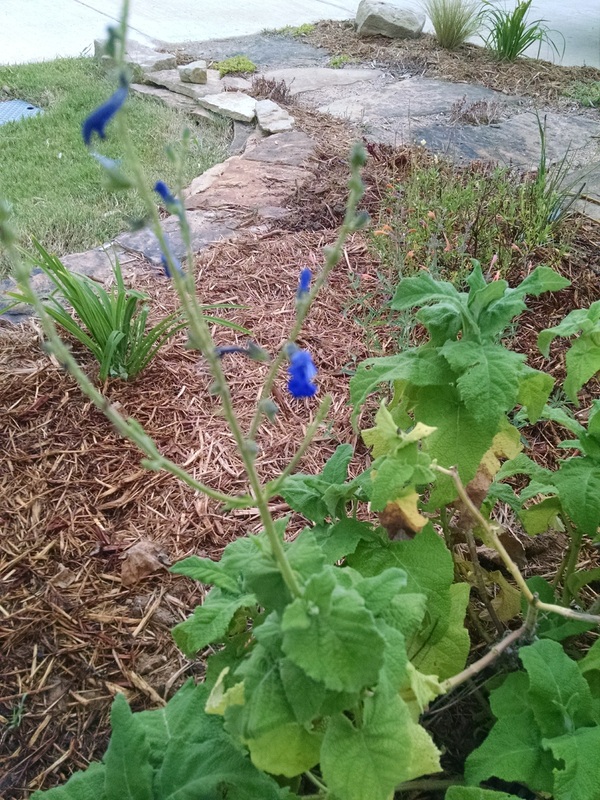 I am waiting to see if this will rebloom as promised. 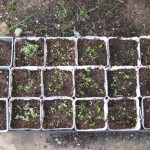 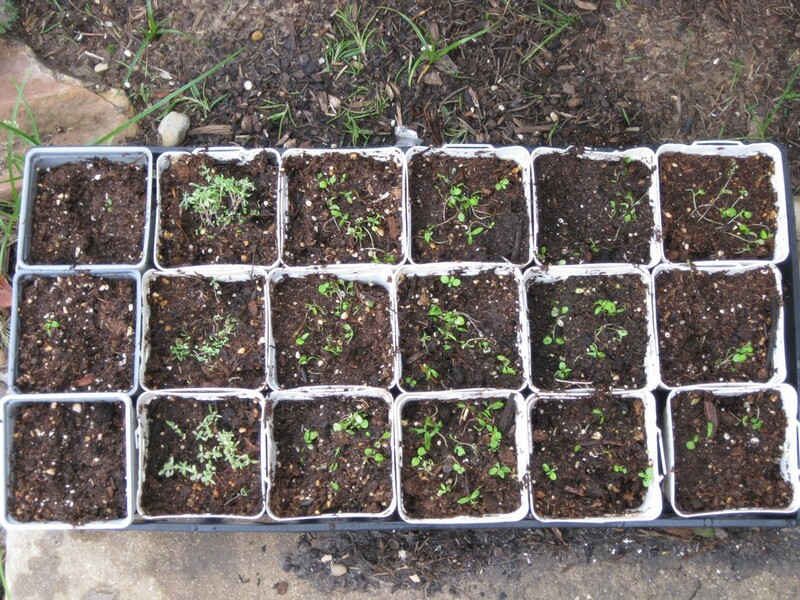 Meanwhile, tray of alyssum sits by patio door.